Welcome to the Trader’s Nest Forex Breakthrough Academy. To sign in please login in the box provided on the right hand side. 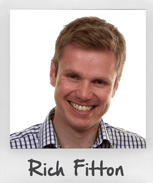 Hi, I'm Rich Fitton, Editor in Chief of Trader's Nest Forex Breakthrough Academy. Our vision for you here at the Academy is to provide you with a strategy & knowledge that will give you the opportunity to extract life-changing income directly from the global markets for the long term. It's also a chance to meet and chat to other students just like you. Enjoy.